When it’s hot, there is little to compare to cooling down with a dip in the pool or taking a cold shower. Water is a great way to cool down unless that water is in your air, where it can actually make you feel warmer. We call moisture in heated air humidity, it can make your home less comfortable, and it can cost you money. Let’s take a closer look at this phenomenon and some ways to deal with the problem. How Does Humidity Affect the Comfort in Your Home? There is always moisture in the air, the relative humidity that most people are comfortable with is between 30% – 50%. When the level of humidity exceeds 50%, our bodies begin to feel warmer regardless of the actual temperature. When our bodies cool naturally, we use sweat, as sweat evaporates and the process of evaporation makes us feel cooler. When the moisture levels in the air are too high, our bodies cannot evaporate sweat easily, and that is why we feel warmer. Will an Air Conditioner Control Humidity Levels? The air conditioner in your home can help to control the levels of humidity in your home. Inside the air conditioning system, there is an evaporator coil, this is where refrigerant evaporates, and heat is absorbed. The movement of heated air between indoor and outdoor units across the evaporator coil is how your home is cooled. As the coil cools, moisture in your home condenses on the coil and as a result, there is less moisture is in the air that’s blown back into the home. However, reputable local air conditioning specialists are unlikely to recommend this as a permanent solution to the problem of high humidity in the home. Using an air conditioner in this way requires the system to be run for longer periods of time and more energy is consumed. This can increase the level of wear and tear on your air conditioning systems, and it will cost more to run. Adding a dehumidifier to your HVAC system to lower the level of moisture in your home is a great way to stay comfortable. There are some other benefits to consider if you choose to go this route. Firstly, you will save energy, and you can run the dehumidifier without running the AC if you prefer. Secondly, a dehumidifier will increase the lifespan of your equipment by reducing the level of wear and tear. Lastly, lowering the level of moisture will reduce or prevent mould growth, and this will improve your air quality. If they are looking for air conditioning specialists, Perth residents should contact us. 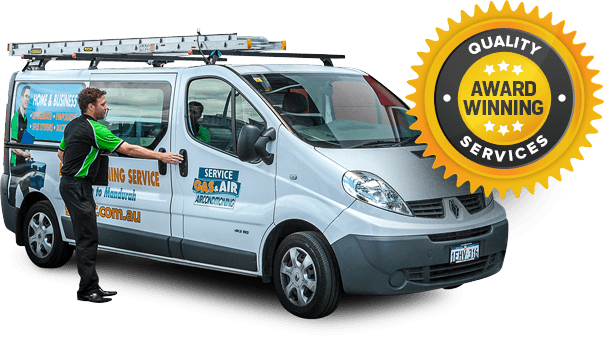 Here at Gas & Air we can supply, install and service a wide selection of air conditioning equipment. We offer a high quality local service for both residential and commercial premises. Get in touch with us today, and we look forward to discussing your needs in further detail.